Struck by the Mayer Mint in a full ounce of highly-pure 99.9% silver, the 2019 Silver Shoebill is a gorgeous coin with incredible detail and intricate designs. Measuring 40 mm in diameter, this large silver coin features a pair of Shoebills nesting in a clump of leaves. Behind them is an incredibly detailed topographic map of Africa, complete with the mountains and rivers that are home to rich natural resources and abundant wildlife. 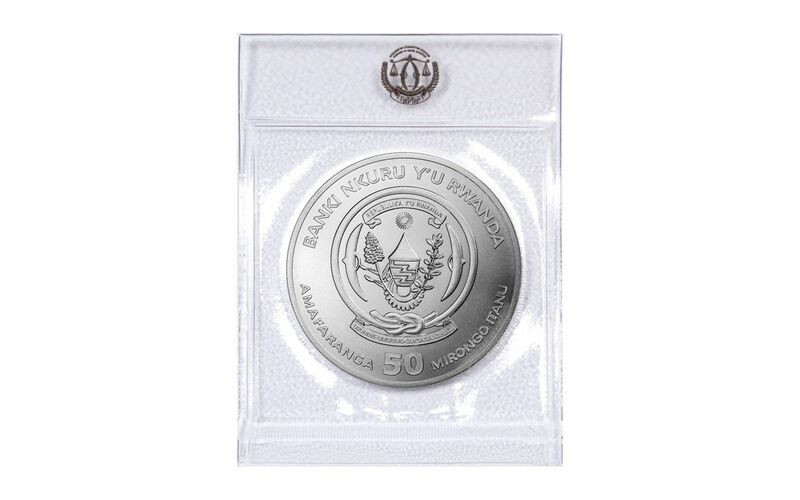 The obverse of this beautiful Brilliant Uncirculated (BU) coin carries the National Seal of Rwanda and the 50 Francs denomination. 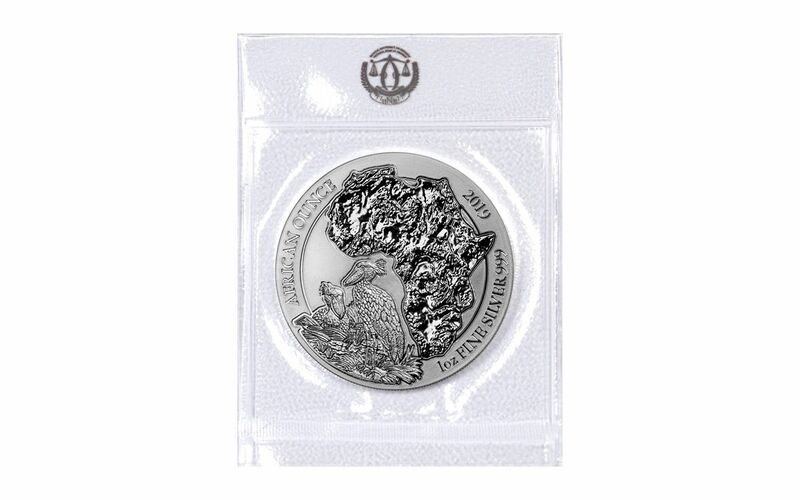 Whether you have been to the wilds of Africa, hope to go someday, or simply want to hold a couple of these beautiful creatures in the palm of your hand, this 2019 Silver Shoebill coin is a great opportunity to bring a piece of Africa to your collection. BRILLIANT UNCIRCULATED CONDITION – Your 2019 One-Ounce Silver Shoebill will arrive in Brilliant Uncirculated (BU) condition, meaning that it is a fresh, clear and sharp as the day it left the mint.